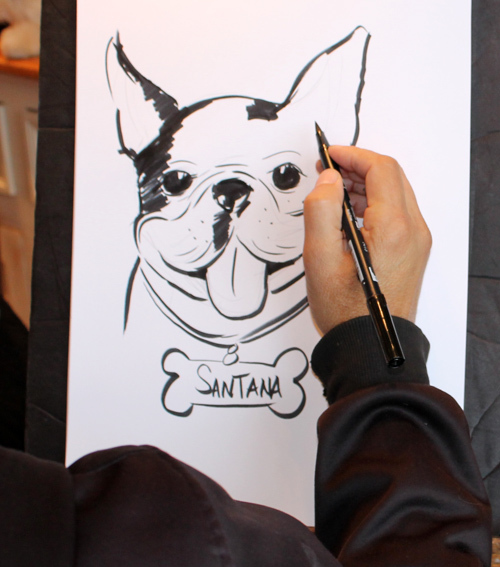 Live dog caricatures (with and without their humans ) make for great entertainment and gifts for guests at events! Request a quote to find out about availability and rates! 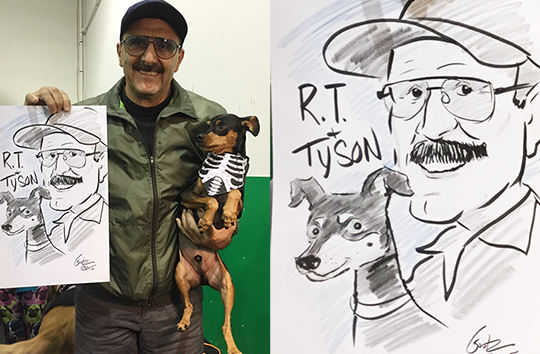 This is late in posting, but wanted to share these photos of Mark “Gootz” Gutierrez drawing dogs and their human friends’ caricatures at an event earlier this spring at the Dogfish Head Alehouse. 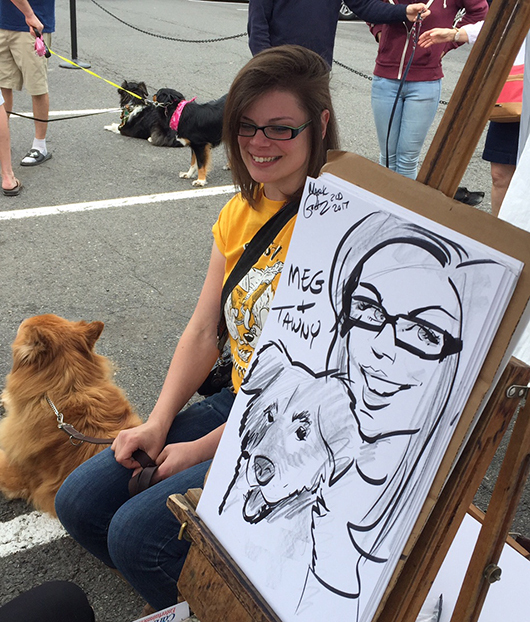 Mark had drawn her before a few years earlier! 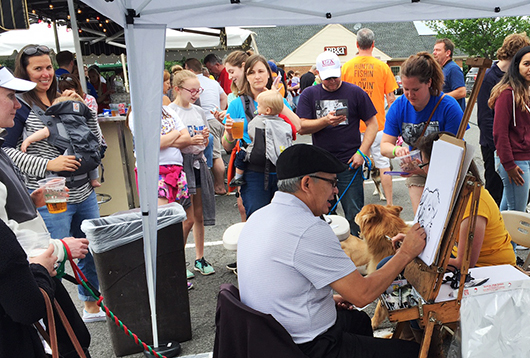 Owners with their dogs waiting for Mark to draw them. 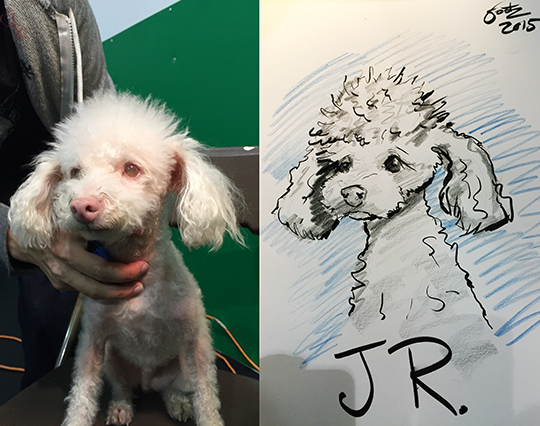 A little dog and his human! 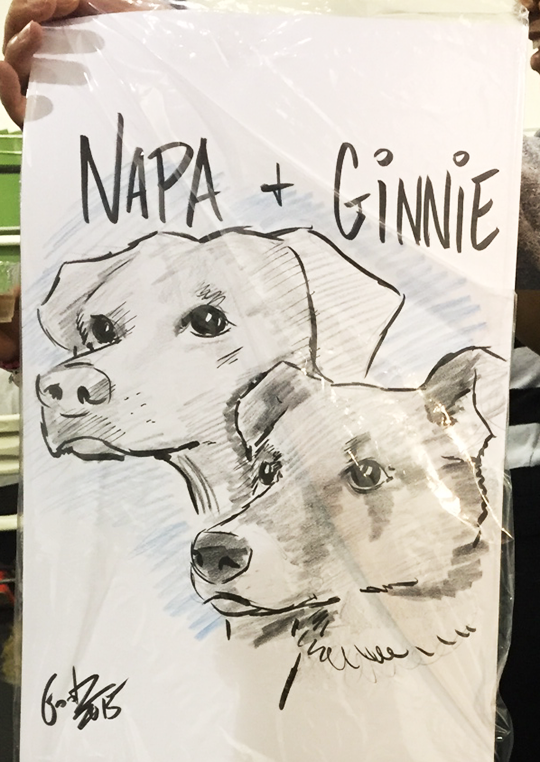 A couple of dog caricatures! 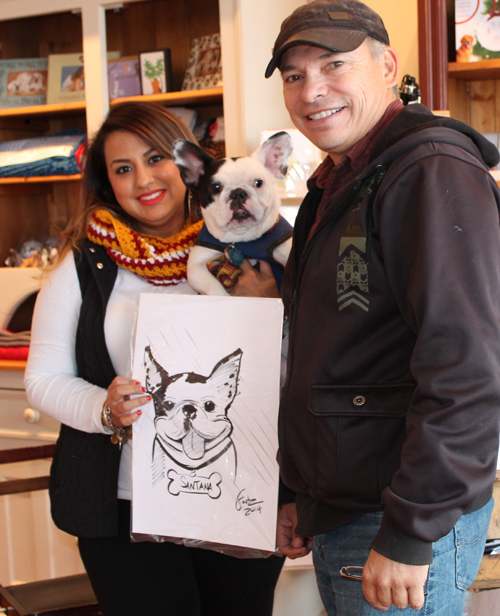 Mark drew live dog caricatures for two Wylie Wagg stores this month. 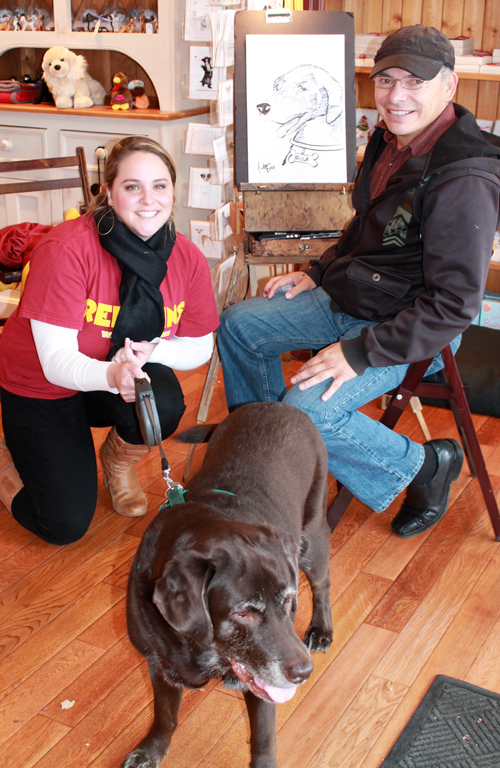 Mark with happy dog owner at Wylie Wagg.